Join us for to PAINT this lovely face with leaves and SIPthrough an enjoyable evening! This is a perfect chance to try something new so gather your creative friends for a fun night out! 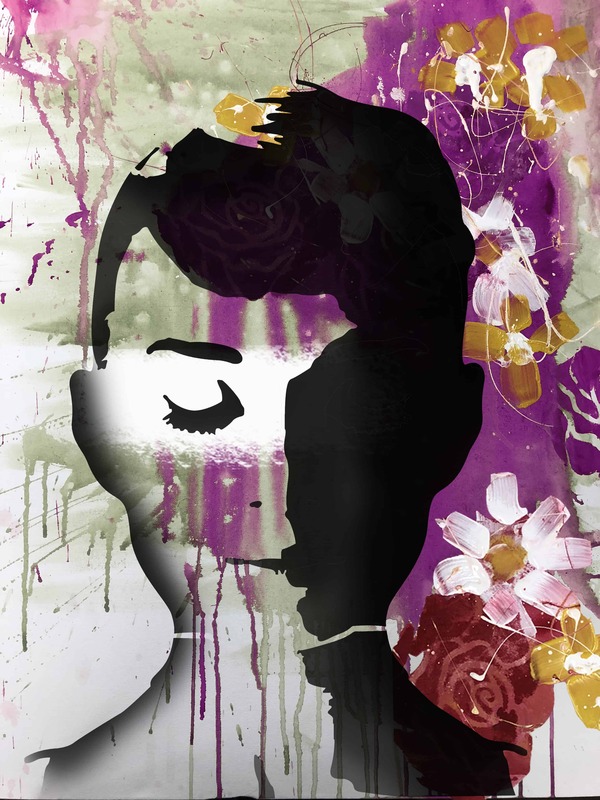 You’ll be bringing home a one off original stencil image, painted by you on a quality 600x760mm double thick canvas in colours of your choosing. We will paint an interesting background in your choice of colours, stencil in ferns and flowers then spray paint on the stencil. Paint in your favourite colours; don’t have a favourite? x Find a painting you like: take note of the colours. x Look at your clothes: most ppl have colours they wear together. x Look to your furniture: what are the dominant colours? x Look to nature: whilst looking at a natural scene have you ever said, ‘that pink looks terrible next to that green’? Steal natures ideas. Please arrive by 6.30pm, handover your BYO downstairs at the bar of the Montague Hotel then enjoy your complimentary glass of sparkling at the bar. Book for a group of 6 or more to receive 10% off. Free glass of Bubbles on arrival. BYO wine, beer and soft drinks. Finger food can be ordered up from the Montague Hotel kitchen. One of our artists will guide you with easy to follow instructions, allowing plenty of scope for your personalised touches.